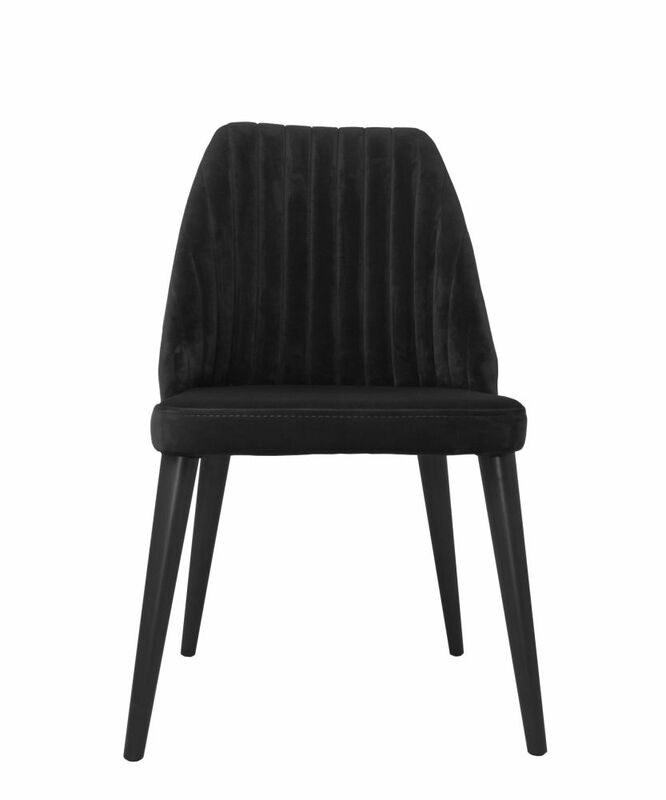 A new twist on a classic dining chair, combining plush velvet upholstery, elegant proportions and a high ribbed back for seating pleasure. The Ella chair combines modern and retro influences and is designed with boutique hotels in mind. Perfect proportioned for use as a dressing table chair, dining chair or board room meetings. Ella is available in Emerald Green, Dusty Pink or Black velvet.